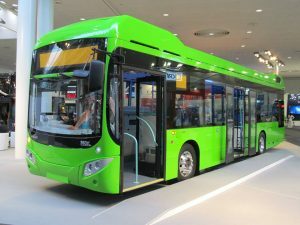 The Volvo 7900 Hybrid bus was recently showcased at the 67th IAA Commercial Vehicles in Hannover which took place in late September 2018. 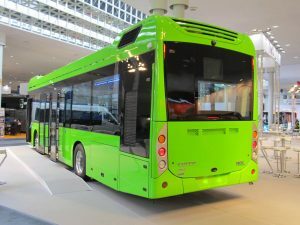 The bus was exhibited by bodybuilder MCV at Hall 11. 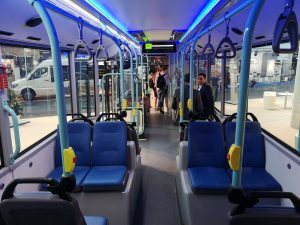 50 units of this bus model are due to enter service by the end of the year. 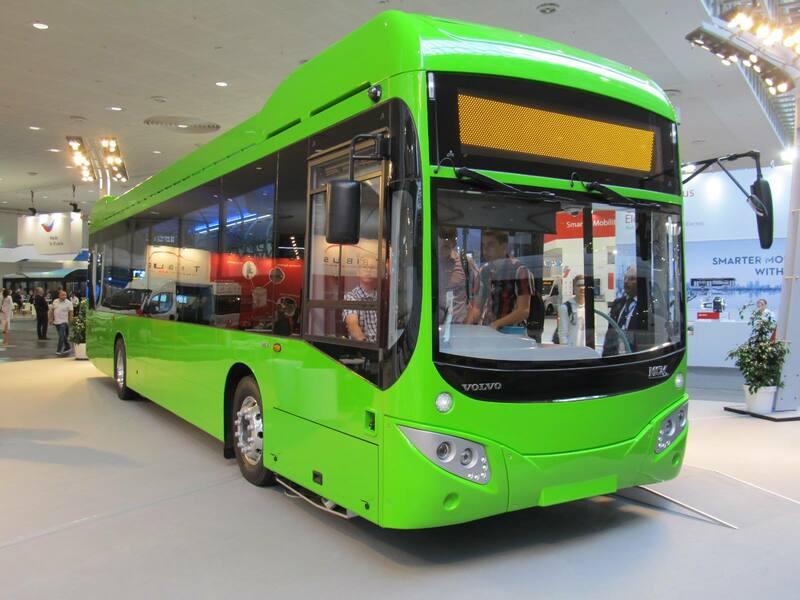 Procured by the Land Transport Authority earlier in 2017, the bus features a Volvo B5LH chassis (Chassis Number YV3T1U221JA191117) with the MCV eVoRa bodywork. This unit would later be registered SG3001R on 19 March 2019. Photos in this article were contributed by Magyarbusz.info. 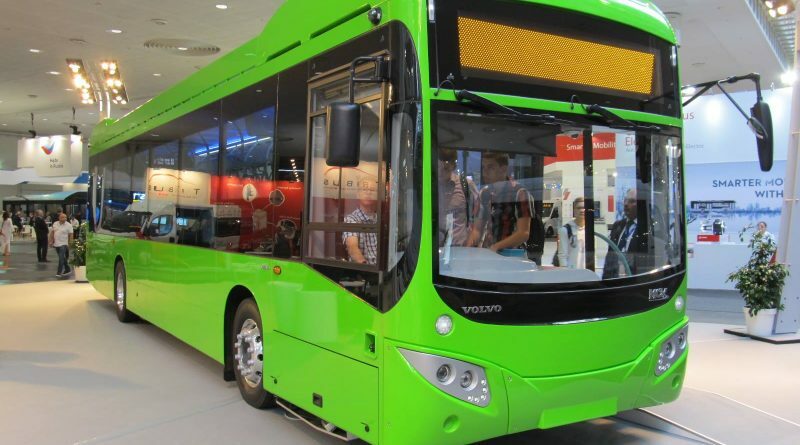 Unlike the earlier Volvo B9TL buses which were assembled locally, the Volvo 7900 Hybrid is fully assembled in Egypt before being shipped to Singapore. One unit has since been spotted in Singapore in late August 2018. The exhibited unit has been fitted with a fare collection coinbox as well as a ticket printer. 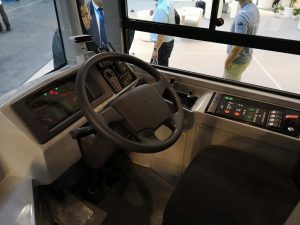 Other revenue service equipment including fare card readers, integrated driver fare console (IDFC), and the Trapeze Common Fleet Management System (CFMS) will be installed after the bus is delivered to Singapore. 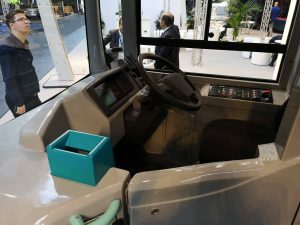 Some of the systems installed on the bus include the SE-9 Anti Fatigue Driving System from TNT Surveillance, and Volvo’s I-Coaching Telematics. The interior of the bus features 23 Vogelsitze System 750/3 seats in the rear section, and another 5 seats in the front section. 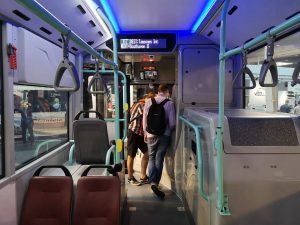 New requirements imposed by the LTA for new buses include an enhanced Passenger Information Display System (PIDS) comprising LED text displays, LCD display screens and interior speakers. In addition, an exterior-facing display screen and an external speaker is included. 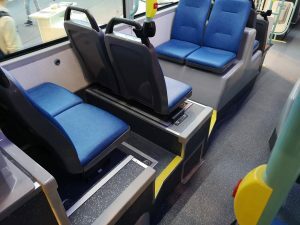 An Advanced Driver Assistance System (ADAS), driver fatigue detection system, high-definition CCTV cameras, two wheelchair bays, and passenger counters at entrance and exit doors of the bus are just some of the additional specifications required by LTA. The Volvo 7900 Hybrid is required to be in compliance with these specifications.